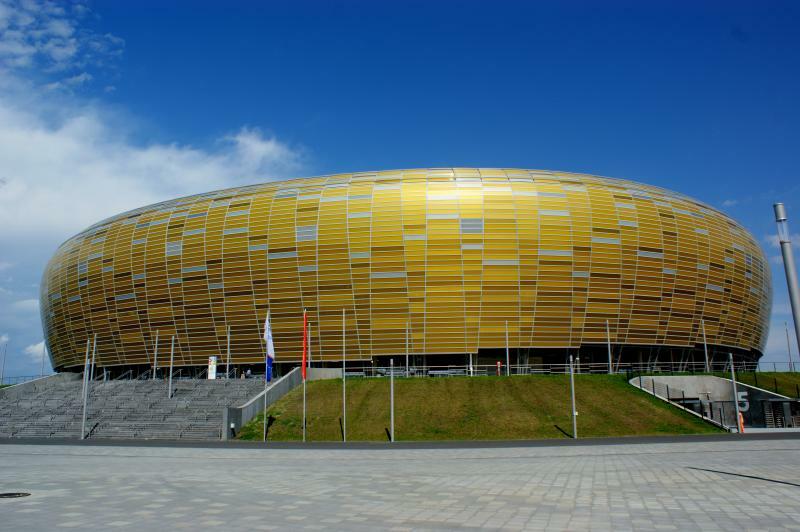 Stadion Energa Gdansk, previously known as PGE Arena, was built to serve as one of the playing venues of the 2012 European Championships. 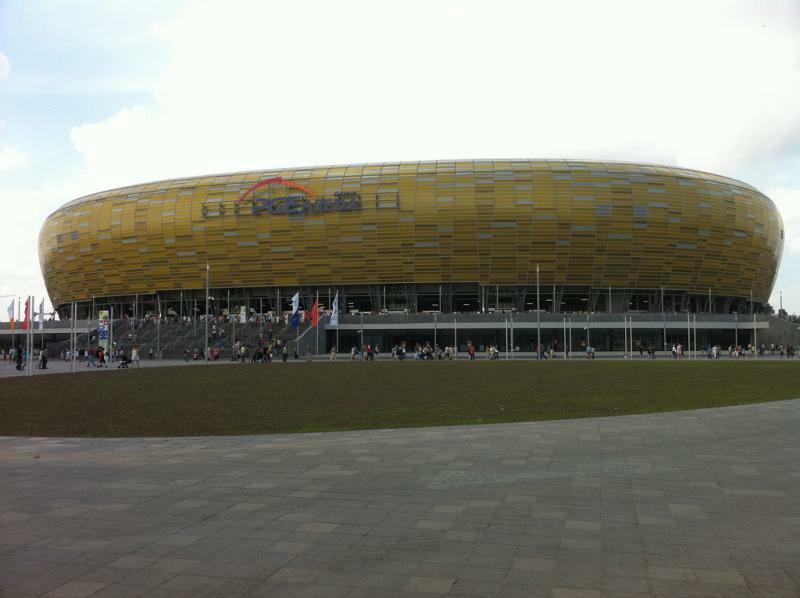 The PGE Arena officially opened on 6 August 2011, and the first match between Lechia Gdansk and Cracovia was played 8 days later. In 2009, the naming rights of the stadium were sold to Polish energy firm PGE, resulting in the name PGE Arena. The naming rights deal ended in 2015 and a new deal was reached with sponsor Energa, resulting in the new name Stadion Energa Gdansk. The stadium counts with 1,383 business seats and has a further 40 VIP boxes. Its exterior is made to resemble amber, of which the Baltic coast area is famous. 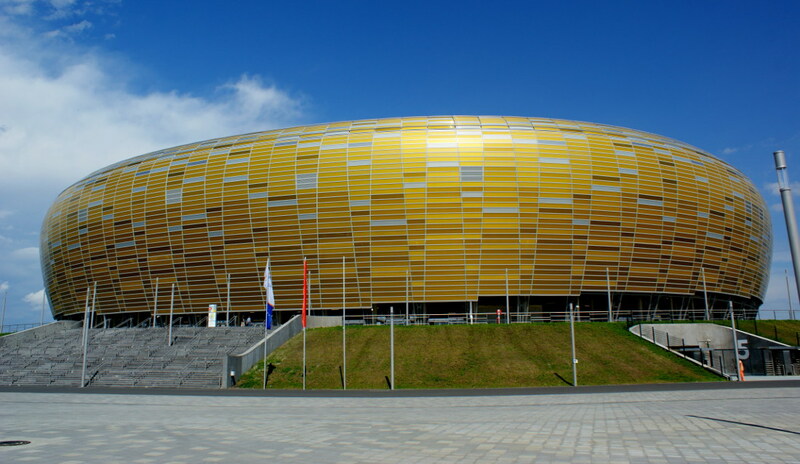 During Euro 2012, the PGE Arena hosted the three group matches of Spain as well as the quarter-final between Germany and Greece (4-2). Stadion Energa Gdansk is located in the north of Gdansk in the Gdanska–Letnicy area, about 4.5 kilometres from Gdansk’s main railway station (Gdańsk Główny) and its old town. It furthermore lies about 8 kilometres south-east of beach resort Sopot. From the main railway station, you can get to the stadium with tram 10. Take the tram in the direction of Zajezdnia Nowy Port and get off at stop Stadion Energa Gdansk. The ride takes about 19 minutes. If coming from Sopot, take the SKM train to Gdansk Stocznia and change to tram 10. Stadion Energa Gdansk is located in a rather empty area mixed up with some dispersed industry, railroad tracks, a few offices, and the odd house. There are practically no bars or restaurants around, and eating and drinking can therefore better be done in Gdansk’s old town or in beach resort Sopot. Hotel Arena is located at a short walk from the arena and will serve you well if you come just for the match or travel by car. Otherwise, you will likely find it more pleasant to stay in Gdansk’s very nice old town. Click here to see all hotels near Stadion Energa, while you can look for a hotel in the old town here. You can also decide to stay in beach resort Sopot. Tickets for Lechia games can be bought online, at the fan store at Stadion Energa Gdansk, or at any of the other sales points, of which the one on the Ul. Karmelicka 1 near Gdansk’s main railway station may be most convenient. 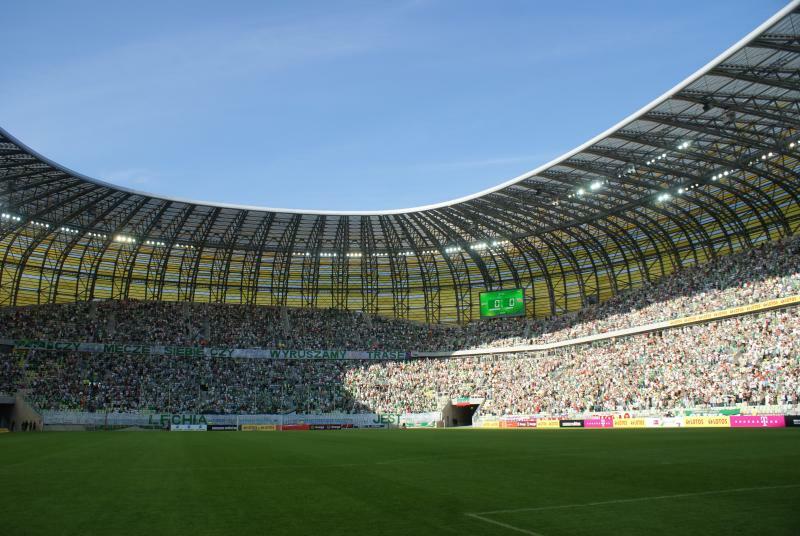 Polish citizens need a Lechia Fan Card (Karta Kibica) to be able to buy tickets or get access to the stadium. Foreigners should be able to buy tickets with just an ID. Fan Cards can be bought at most of the Lechia stores. Tickets can also be bought on the gate on the day of the match, but the same Fan Card requirement applies. Ticket prices start at PLN 20.00 for a lower-tier seat behind the goal and range up to between PLN 35.00 and PLN 100.00 for a seat at one of the sides. Tickets for the matches against the top teams are PLN 10.00 more expensive. For more information call+48 58 768 86 91 or email bilety@lechia.pl. 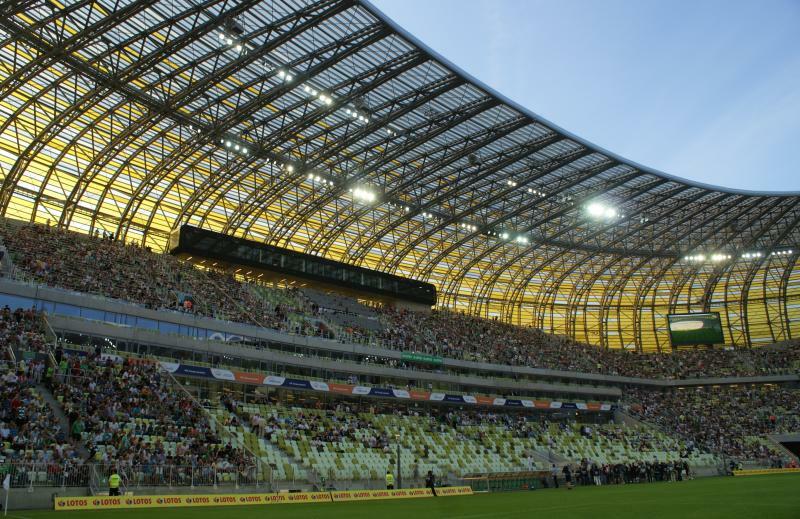 The PGE Arena offers guided stadium tours that include the dressing rooms, players’ tunnel, dugouts, mixed zone, VIP areas, and Lechia museum. The tours last about 60 minutes. Tours run from Tuesday to Sunday about 10 times between 10:00 am and 5:00 pm. There are no tours on Mondays, or on the day of the match. Tickets can be bought at the PGE Arena. Bookings are not required, though the tour has a maximum participation of 35 people, and a minimum requirement of 10 attendants. The tour costs PLN 16.00. For more information (e.g. foreign-language tours) call +48 58 768 84 44. Lechia.pl – Official website of Lechia Gdańsk. Stadionenerga.pl – Official website of Stadion Energa Gdansk. Ztm.gda.pl – Information on Gdansk public transport. 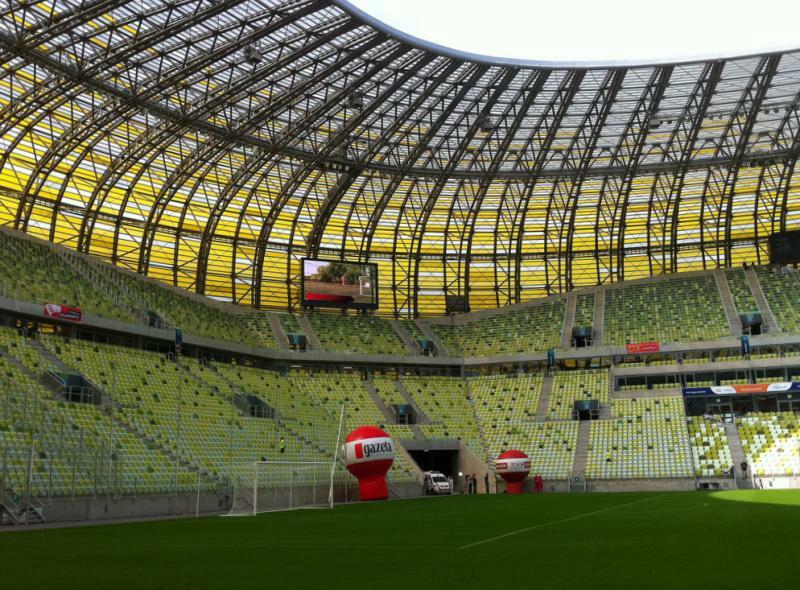 The most beautiful stadium in Poland. There is no problem buying tickets even on the day of the game. The walk from the tram takes about 5 minutes. Fans are very loud. I went to see Lechia vs Lech and witnessed some good football and even better support from both sets of fans.